Did you know gluten can make you feel tired, bloated and give you stomach pain? Gluten is a glue-like substance that has no nutritional value, and lots of people are sensitive to its effects. When I found this out, I decided to try a week-long gluten free diet to see if I noticed a difference. 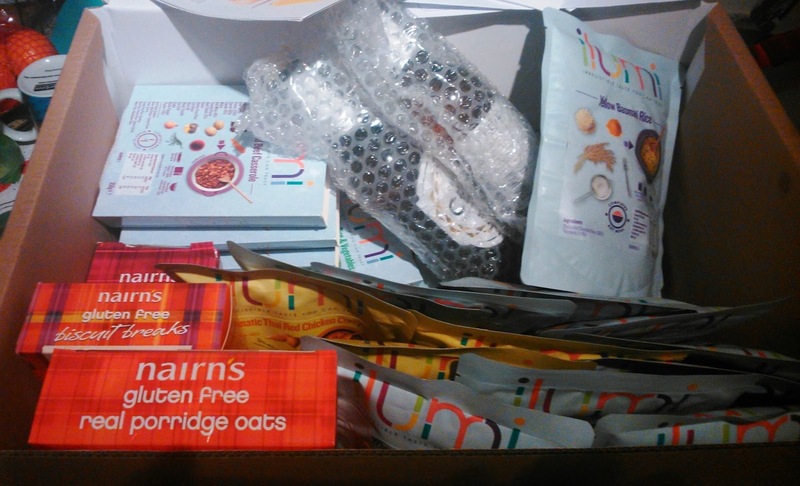 The lovely people at Ilumi sent me food from their 7-day 'Boost Your Energy' diet range. The English company uses chefs and nutritionists to create meals "inspired by world cuisines that are packed full of flavour, but naturally free from gluten". I was pleasantly surprised when this huge box got delivered to my door, and it was packed full of food to last me a whole week. Meals included curries, stews, soups and even meatball dishes. Every item was gluten,nut and milk free and there were even biscuit snacks and a couple of bottles of organic lager to enjoy! All of the meals are in sealed pouches, and each pouch equals a single portion. What I love most, is that they only take a couple of minutes to microwave, and unlike other ready-meals, these are freshly cooked and very healthy! This is so helpful for me when I've had a long day at work and then want to spend some time with my toddler before he goes to bed; I get a low fat, home-cooked meal without doing any cooking! Whenever I've tried low fat, diet-type food in the past, they're usually tasteless, boring and in minuscule portions. I loved that there was a huge range of foods within just the one week, and many of the dishes were ones I had never heard of before, so I got to try new things! 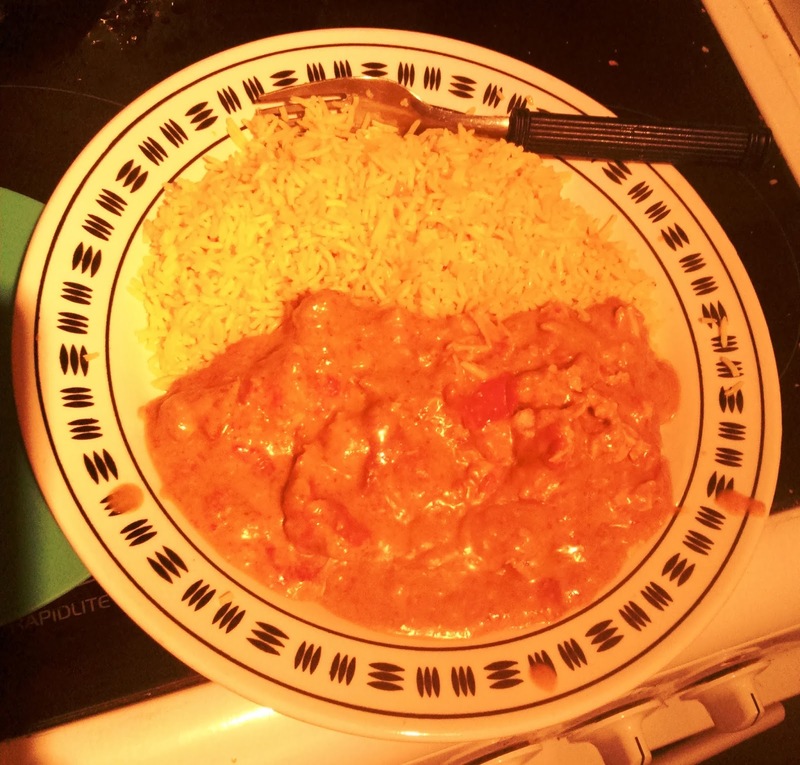 The portion size was really good, as I didn't feel the urge to snack after meals, and none of it tasted processed, which is a rarity in ready-meals, - even the rice had a lovely texture, which can be a hard thing to get right. Least favourite dishes: Pea and mint soup (I only like mint with my lamb or in ice cream!) and the porridge got a bit boring by day three, so I started to put chopped fruit into it to liven it up. Best dishes: I LOVED the Tom Kha Gai soup so much that I want to look at how to make it myself, because the flavours were out of this world! I also loved the Kerala Chicken Curry, and of course the lager with it! In terms of how I was left feeling at the end of the week, I certainly noticed an improvement in my energy levels, and I needed to use a belt on my jeans for the first time in ages, so GREAT RESULT! The best thing about the range, is they're full of natural ingredients, so are also perfect for my toddler. Ilumi sell this 7-day package for quite a reasonable price in my opinion, the only thing that's missing for me, is the option to add some smaller pouches for my toddler to enjoy, so then I wouldn't have to attempt to do a food shop, and cook just for him whilst I'm on this. As well as it being healthy for him to eat, it would also introduce him to a lot of dishes I've never cooked, and it would give me more play time with him rather than cooking time! The only downside would be that my cooker may never get used again, unless I take a leaf out of Carrie from SATC's book and use it to store my jumpers! To find out more about the BYE diet or Ilumi's other ranges, click here.